How far would you like to enter a setting of the gorgeous ancient China in a video game and wander there freely? Well, if that idea appeals you enough, there is good news for you. A new entry in the Total War series will soon be entering the gaming world and its name is Total War: Three Kingdoms. 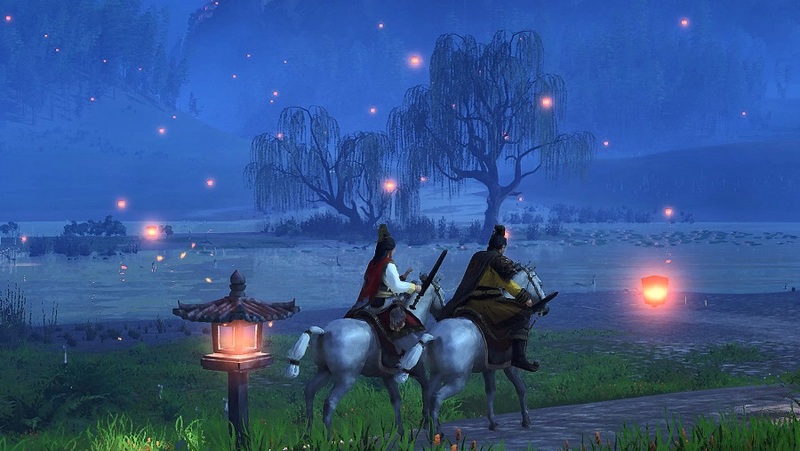 It takes you to the riotous Three Kingdoms era and you are sure to enjoy the era’s celebrated heroes on and off the battlefield. This might be a big change to the usual Total War formula. Here’s some information about the game that’s been available out there, thanks to Gamers101 – Video Games Community and Marketplace. When would Total War: Three Kingdoms Release? Total War: Three Kingdoms is due for release on 7th March 2019. Yes, quite a few trailers have been released so far. The first one is a gameplay footage that presents scenes from a siege, with excerpts of new UI and hero skills, concluding with a climactic duel. Trust of god: This is one of the most amazing swords ever created and Cao Cao’s personal weapon of choice. Commanding presence: Cao Cao’s imperious authority can inspire everyone around him to hold arms and rise up in action. Shadow runner: This is a horse known for his speed and elegance, believed to move so fast as to outpace his own shadow. Opportunistic manipulator: The cunning Cao Cao finds opportunity in others’ hardships, skewing situations and fortunes to use to his favor. The debut trailers shows off some wonderful battle scenes, sets the scene and introduces many heroes from the era. You can even see heroes dueling, which is a novel war mechanic in the game. The latest trailer covers the abilities of spies you can use in your campaigns. The trailer is centered on Cao Cao and you can see him using the new subterfuge systems for planting spies in the administration of another faction. Spies can be planted in a world recruitment pool and hope that an enemy group doesn’t snap them up. When they are there, you are able to get additional information about the setup of the faction, but it’s quite risky. The trailer will explain how spies can provide you wrong information in support of your enemy. Above that, they can separate and create their own faction too. And apart from the gameplay, the trailer will definitely let you enjoy an extremely scenic tour! All this information must have surely aroused great excitement in you about Total War: Three Kingdoms. Your wait will come to an end on 7th March when you can get the awesome game in hand.